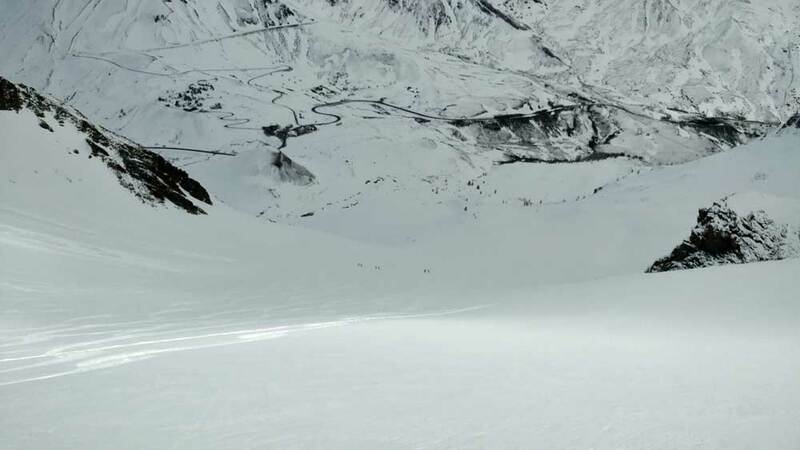 15mins drive from where we live in Serre Chevalier is the Col du Lautaret and from there it's a short skin to the bottom of the Vallon de Combeynot. I have not packed the gear away yet as I've been waiting for one last hurrah, even though we've hardly had any decent spring touring conditions this season I was hoping from the forecast for a return to winter and that it might deliver a last chance for some readily accessible powder. 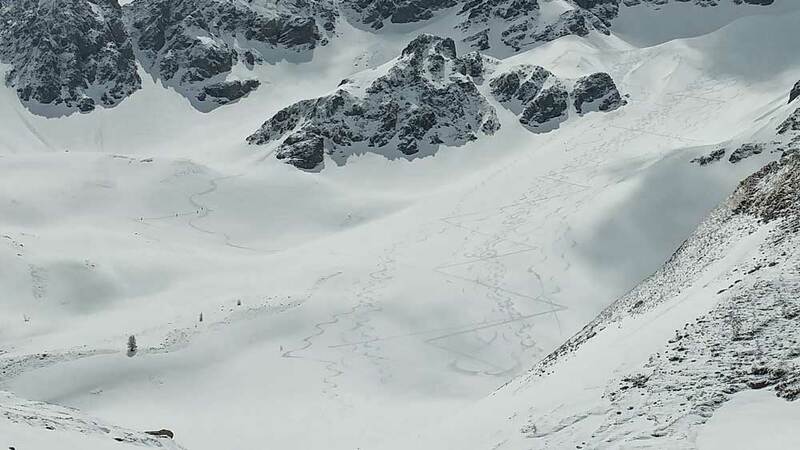 As usual the forecasts were a bit of a lottery for the weekend and the precipitation radar showed exactly that - various forecasts had anything from 10 to 40cms with freezing levels at around 2,000m. Yesterday, when the cloud cleared, we could see the snow line at around 2,000m and we were due more overnight and on into the early hours. Daylight and it was obvious that we'd not had any more snow and there was persistent cloud up at the Lautaret, however an hour or so later it looked to be clearing, so I got ready quickly and into the van for the 15min drive up to the Col. 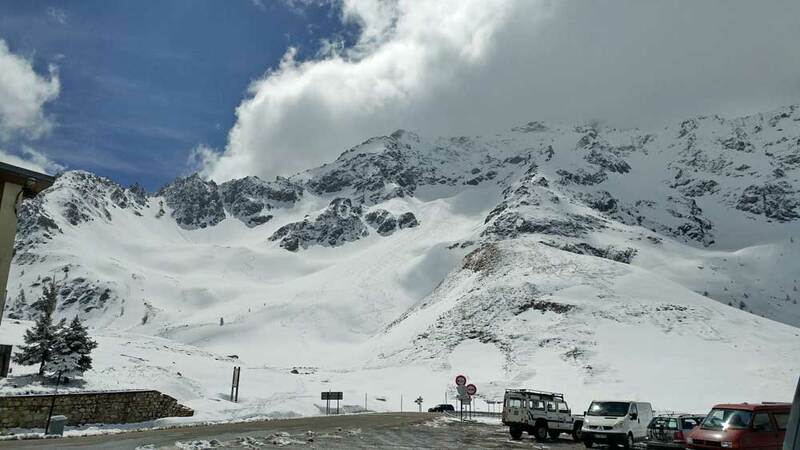 The Col du Lautaret is at 2,057m and you can drive to there, park and then climb (skin) up the classic onrth facing face that is the Vallons de Combeynot. 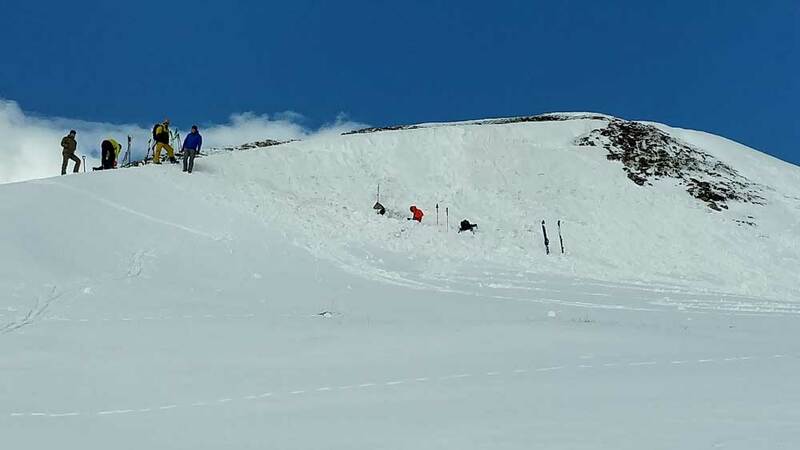 As I was starting out I saw a group doing avy rescue practice, and I did think it strange that there still might be guided groups around as the season and hotels are now well finished. The climb is pretty steep and, as ever when you are on your own, you go at a much faster pace, and the good news was that there was a very sweet 10-15cms of powder. This was looking back down and I could see the group that were doing the avy practice were on the way up. The forecast was for more grim weather and the earlier clear sky was becoming more overcast with ominous cloud so I opted to transition well below the summit which was in dense cloud and also there was a lot of avalanche debris that would not be much fun skiing over in the flat light, I'd ended up doing over 600m in circa 1hr 20mins. 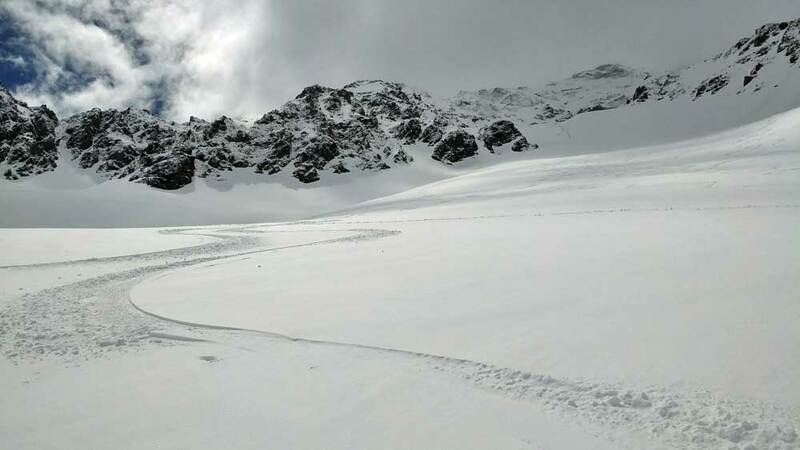 I then waited for a while getting ready slowly as I was hoping for a break in the cloud which was happening every now and again, and very quickly the guys who had been doing the avy practice were close by and it was obvious that they were either guides or PGHM. As it turned out, as a few of them stopped for a chat, they were on a course and I think as far as I understood some were PGHM and others CRS Montagne and that would explain the pace they were climbing up at. 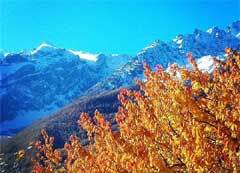 One of them acknowledged my decision as a good call not to go further given the state of the snow pack and weather. I was lucky with the weather and the sun did come out and it was a very sweet descent. This is the first photo zoomed in and you can see the skin track going up as well those coming down!